Planning to buy an expesive smartphone this Diwali? We say, wait for a few more weeks. We have learned from our sources that Samsung’s Android Powered Smartphone – Galaxy Note is going to hit India in November. Chances are high that it might be launched in the first week of November, however we can’t confirm that as of now, though it’s coming in November for sure. The phone comes with a monsterous battery of 2500mAh and a powerful 1.4GHz dual core processor.Galaxy Note boasts a 5.3 inch display, yeah you read that right 5.3 inch display it is. To read the full specificiations of Galaxy Note visit here. We expect the Galaxy Note to be priced between Rs. 35000 to Rs. 40,000. Anybody interested? 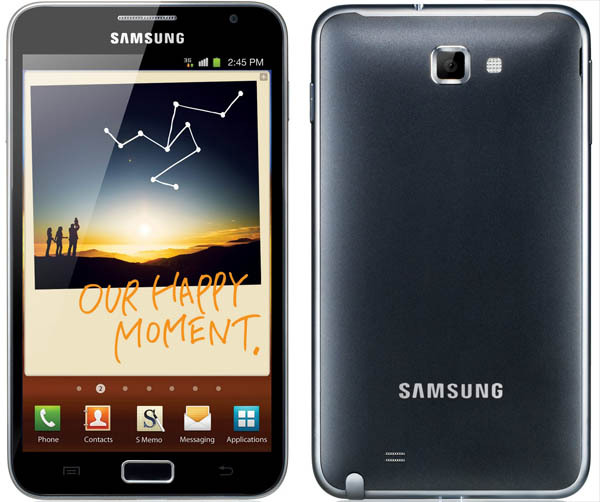 Update : Galaxy Note will hit Indian shores on November 2nd, 2011. Can’t wait to get my hands-on this monsterous smartphone.